“It was the best of times and the worst of times.” Mr. Dickens could have been been talking about one city in India, rather than two cities in Europe. Agra, a few hours outside of Delhi is a study in contrast. The city is home to three, count ‘em, three World Heritage sites – The Taj Mahal, Agra Fort and Fatehpur Sikri – sounds like the place you’d want to spend some time in, huh? You’d be wrong, the modern city of Agra is a SuperFund site waiting to happen. Tons of heavy industry ring the city, it’s up to it’s ears in pollution and a nightmare to navigate. All this, and it’s still choked with tourists, and the touts, hacks, and beggars that tend to settle in heavily touristed areas – so the locals you meet will generally be trying to sell you stuff you don’t want, or trying to boost Rupees from you. So why go? Come on, are you going to go to India and not come home with a photo of the Taj Mahal? I don’t think so. So you have to go, but it’s a place you don’t want to stay. 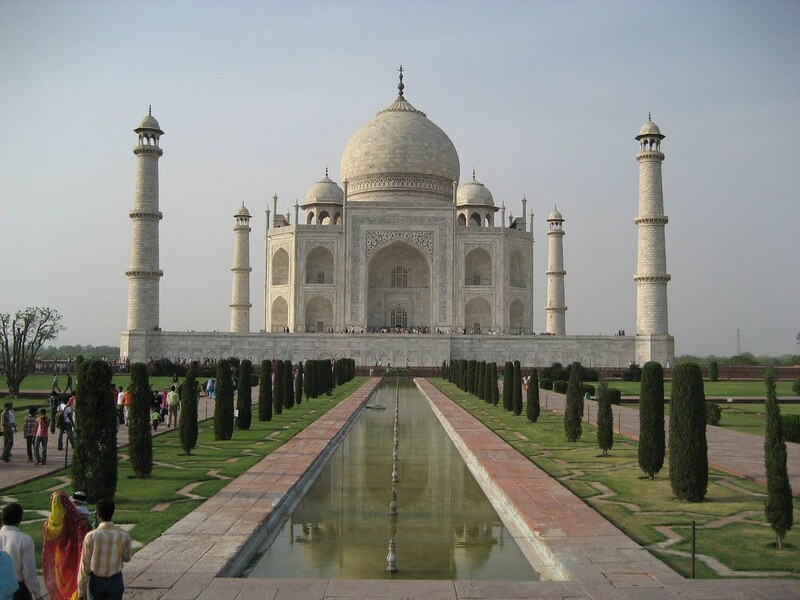 Interesting statistic: The average tourist stay in Agra over the last ten years has gone from 15 hours to 6. Get in, and get out is the mantra. And it was ours too – we did a pre-paid government run day tour of Agra. Leaving Delhi by train at 7AM and returning the same day at 10PM. We booked an air conditioned bus that would take us to the big three and get us back to the train on time. For the most part it worked. The sights were pretty spectacular – The Agra Fort was amazing, the Fatehpur Sikri has an amazing history and the Taj is the Taj, what can you say? So, I hate to say it, but go to Agra. But don’t go to Agra.